Ahoy | "I've Got a Golden Ticket!" 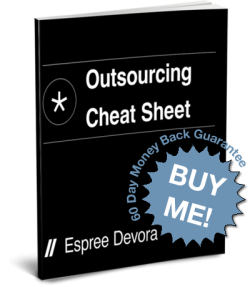 Firstly, thanks for picking up Outsourcing Mastery Cheat Sheet, you’re going to learn an incredible amount of powerful knowledge about how real outsourcing can be simple and effective. And he agreed to make them available for you!!!!! II pretty much fell off my chair when I saw them for the first time. 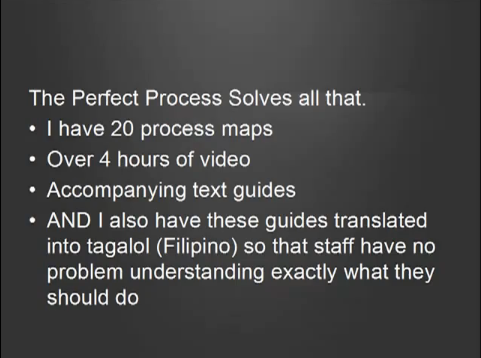 Saved me HOURS of work preparing trianing documentation. I was able to focus on building my business and not running it. Such a relief. It’s only $197 but if you’ grab it this week and enter ‘espree’ into the promo code area you’ll get $80! off. I’d love your feedback and testimonials.